Discussion in 'Other Skills' started by geowizard19, Sep 27, 2018. Hey all. I’ve been thinking about trying to make some cordage recently, as it’s a useful skill and just plain cool. I’d like to get some decent materials to try it out, but I’m in Pennsylvania, and I feel like there isn’t much that’s useful for corsage here. Does anyone have any tips on finding materials for a beginner like me? woodsmanjohn, rsnurkle and Jim L. like this. I'd look for milkweed, stinging nettle, evening primrose or basswood cambium and try those, then start reverse twisting everything that sits still long enough. woodsmanjohn, Jim L., actichy and 1 other person like this. I've had good results with wood nettles, stinging nettles, basswood bark, and swamp milkweed. I've had mediocre results with Siberian elm and white mulberry inner bark. woodsmanjohn and halo2 like this. woodsmanjohn, halo2 and Jim L. like this. Do you have willow trees? I've heard the inner bark works, though I haven't tried it myself. And cedar roots. woodsmanjohn, actichy, halo2 and 1 other person like this. Oh, Pennsylvania has some great sources for cordage. Basswood, stinging nettles, blackberry brambles just to name a few. a quick google search tells me that you should, in PA, have hemp dogbane, shown above. 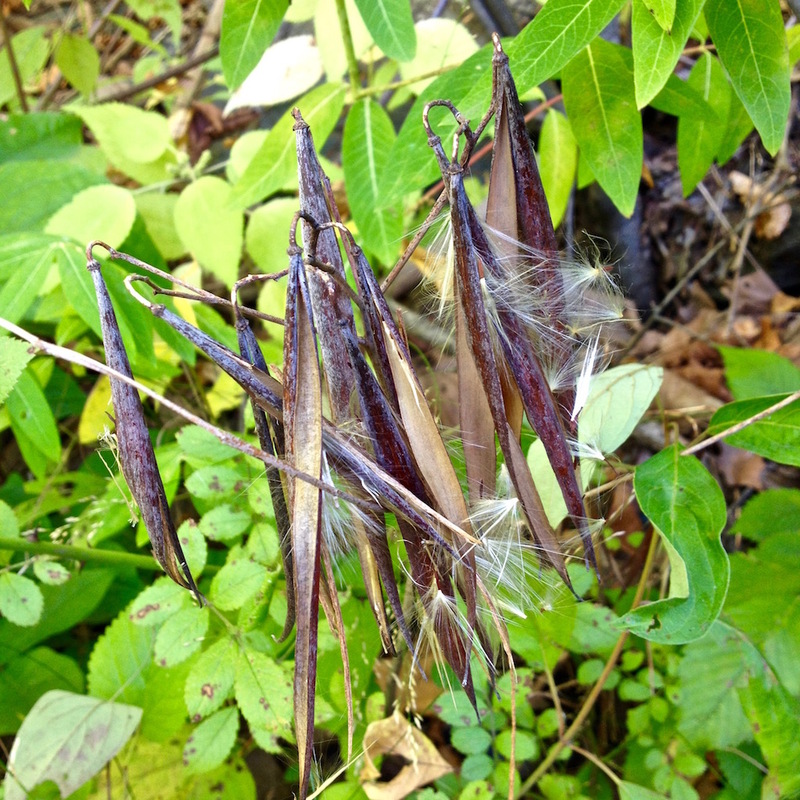 related to milkweed, it's my favorite cordage plant. if you look back at that first pic, the red stems is the biggest indicator for me, followed by the bean type pods you see in both pics. (taken from google) added bonus that i've heard it's rot resistant and traditionally used for fishing nets and lines for that reason. woodsmanjohn, actichy, halo2 and 3 others like this. I have dogbane in my AO. I often find it at wooded edges of the corn and soy fields. I also have had alright success with the inner bark of tulip poplar. Cattails are another one to look at, although not as good as nettles in my opinion. In the spring the inner bark of blackberries makes good cordage. I saw a video of a dude use toilet paper to make a weight bearing rope. woodsmanjohn and rsnurkle like this. Lots of natural materials in PA, as mentioned already. I also second @Jim L. 's comment about toilet paper. If you are, having a hard time finding those natural materials, start practicing with manmade stuff like toilet paper, newspaper, tissue paper that's headed for recycling, random small pieces of cordage that you can make stronger by twisting or braiding. Check out https://bushcraftusa.com/forum/thre...rdage-lashings-improvised-cordage-etc.178759/ if you haven't already. woodsmanjohn and Jim L. like this. Wow, lots of good info in here! Thanks for all tips guys, I’ll have to try some of them out! I've been looking for this stuff in north central PA for a while now and just can't find any. Need to keep looking. is your specific area more woods or meadows? i've always found it more in meadowlands, sometimes creek side or if there's a clearing in some woods. honesty, my best areas to find it has been road side! that red color screams at me when i'm driving sometimes-and i've been known to stop and gather a few stalks. woodsmanjohn, Jim L. and scottmm2012 like this. Mostly woods here. I actually may have found some on my property. I have to get a closer look. If I remember correctly, you're down around Schuylkill Co. Dogbane and milkweed and stinging nettle are all at their peak right about now and are all over your area. There should be basswood as well. If you are looking for something to tide you over until you can find these, go to your local Halloween shop and pick up a cheap raffia hula skirt. That stuff is perfect for learning cordage making. Close, Carbon Co.! But I'll have to look around for some eventually. Sadly, being at a four-year university in the city doesn't allow much time for bushcraft. Sandcut and woodsmanjohn like this. Some great recommendations from the folks here. I'm not really sure what you have up your way. I use allot of what has been mentioned Dogbane is strong and one of my favorites. Milkweed is good to. I use yucca allot and on occasion Slippery Elm, Vines Etc. I have used a variety of flexible limbs as withys to tie things off. Try to look for material with allot of fibers when broken up. 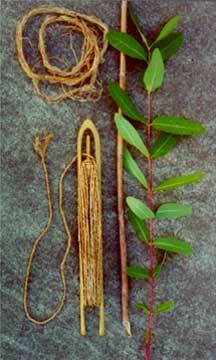 Other than plant material if you have access to some or hunt, sinew is extremely strong. Where're you going to school? Pitt. I really like it, but it certainly keeps me busy! Yeah. Not a lot of dogbane in The Towers.